Question about the bitness of the computer faces the user most often, when you reinstall the operating system or buying a new system unit. The distribution for Windows x64 you can not install it on a 32-bit computer, and bought a PC with 8 GB of memory and installing the Windows x32, you will lose 4 GB of memory because your OS can't see. And when installing drivers the question of bit depth is important. To avoid embarrassing mistakes and unnecessary spending, start planning to upgrade or upgrading software calibrating the bit depth available or purchased computer. Often to answer a question about bitness, it is sufficient to use the documentation from the manufacturer or seller of the computer. It is most often a specification of components, or at least the model name of the processor. And knowing who the manufacturer brand and model, you can easily find all the information. To do this, go to the website of the manufacturer of the processor. Each website for a quick search has the input box called "Find" or "Search". Enter the name of the brand of processor in the field and press Enter. From the list of links select the link to the specification of your model and find some of the other information about it. If documents are missing or there is no opportunity and time to look for the answer online, you can use a built-in utility winmsd.exe that displays on the monitor full information about the system. To do this, press Win+R and type winmsd in the input field "Open". In the program window "system Information" in the details pane, the elements "Type" and "Processor" contain information about the bit. The value of "a Computer on basis x86" means that the bit size of your computer 32 bit. There are many third party utilities that allow to obtain information about the bit. 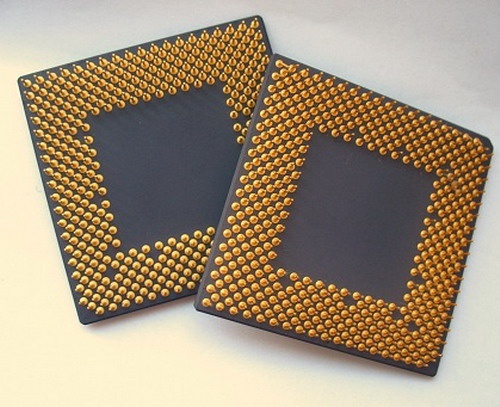 For example, Everest, CrystalCPUID, CPU-Z will help to obtain complete information about all components of computer. CPU-Z free, convenient and easy to use and absolutely not overloaded with functions. Download and install CPU-Z on the computer. Find in Internet is not difficult. Run the utility (the shortcut the installation creates to your desktop). On the CPU tab, locate the line Instructions. Here you will find information about the support processor 32 or 64bit instruction, that is, its bitness. If one of the values - EM64T or x86-64, then the bit computer 64 bit.